Alicia Air is a factory-authorized dealer with extensive knowledge of all major brands of HVAC systems, air conditioners, heat pumps, furnaces and heaters. We offer a range of systems to fit all budgets, and our selection includes the highest efficiency models. We also offer zone control systems, humidifiers, digital programmable thermostats, air purifiers and more, and we perform ductwork sales/installation and repair. Our experienced, factory-trained technicians are all NATE and EPA certified as well as fully licensed and insured, and they receive ongoing training in the latest repair techniques. We price our services at flat rates, so the cost isn't dependent on how long the job takes, and we provide you with a price quote before we begin the work. We offer convenient appointments, and our after-hours emergency service is provided 24 hours a day, seven days a week, 365 days a year. Call today—our friendly, knowledgeable staff members are standing by to assist you with all your HVAC needs. Dependability: Alicia Air is a family-owned, full-service, factory authorized HVAC company. All of our technicians are experienced, licensed and insured. Flat Rate Pricing: We offer flat rate pricing and provide you with a price quote for the job before we begin. This quote is based on the services needed, not the amount of time it takes to finish the work. Guaranteed HVAC Services: All of our service and repair parts are guaranteed by a one-year parts warranty. Ongoing Training: Our HVAC technicians have years of experience and receive ongoing training in the latest repair techniques and the newest cutting edge equipment and tools. Company Service Vehicles: Our skilled technicians arrive at your home or business with a fully equipped company service vehicle, ready to work on your HVAC problem. 24/7 Emergency Service: We offer emergency HVAC service 24 hours a day, seven days a week, 365 days a year. One of our expert technicians will promptly return your emergency service call. Uniformed HVAC Technicians: All Alicia Air technicians wear professional company uniforms for your peace of mind. Respect For Your Property: Our friendly, respectful technicians always lay down drop cloths and wear shoe covers to protect your property. Customer Satisfaction Guarantee: We guarantee your complete satisfaction and will do everything possible to make your experience with Alicia Air an exceptional one. We want to earn your trust and your repeat business. 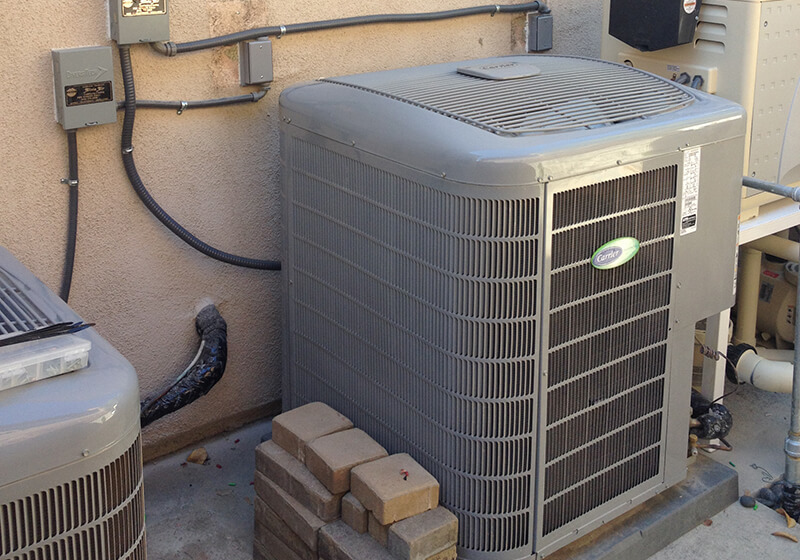 We installed this new 16 SEER condenser for a Mission Viejo homeowner. Part of a Carrier Infinity 3.5 Ton Horizontal System, it will reduce their energy consumption by 30-50%. It also comes with an Infinity Touch Screen thermostat with WiFi and 7-Day Programmable. 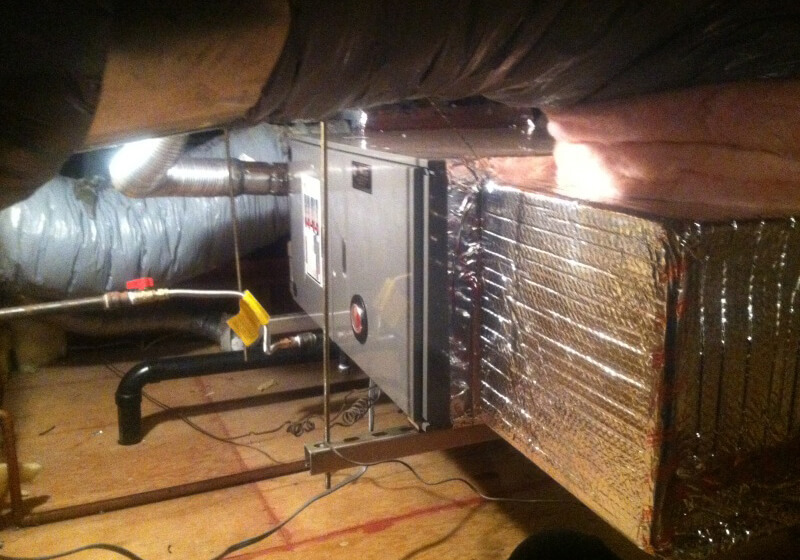 We installed this new 2 stage 80% efficient furnace in a home in San Clemente. This Carrier Performance Series furnace replaced an older unit that was in need of major repairs. 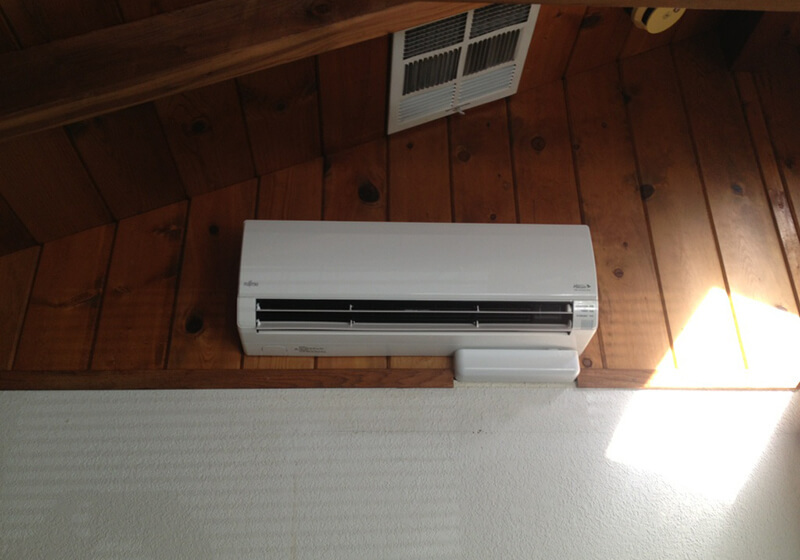 This Fujitsu Ductless multi-zone mini split was installed in a Newport Beach home. The new system was added to give individual control over temperatures. The homeowner will be able to use a wireless remote to change heat and cool settings. We are proud to currently have 83 Angie's list reviews with an overall A rating! We also maintain a rating that is above the national average for customer satisfaction - with over 110 reviews gathered by Carrier Corporation!